Naarden Marina in the Naarden Forest is one of the largest marinas in the Netherlands. 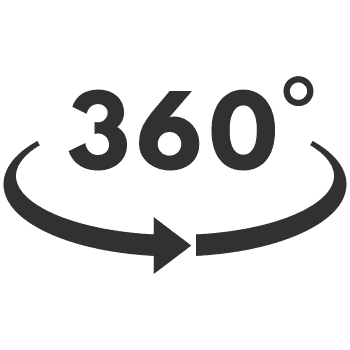 It has more than 1,200 berths. The marina offers plenty of sporting fun for the whole family. Whether you feel like sailing, cycling, or hiking, the marina is an ideal base for exploring the area. From here you can sail to the IJmeer, Markermeer, the IJsselmeer, or the Randmeren, but the beautiful Vecht is easy to reach. The port is located directly on the Zuiderzee route, a cycling route that spans 300 kilometers along the former Zuiderzee. Rent a bicycle in the marina to explore part of this path, or visit the fortified town of Naarden, the Naardermeer Nature Reserve, or Oud Valkeveen play park within a short bike ride (5 minutes!). 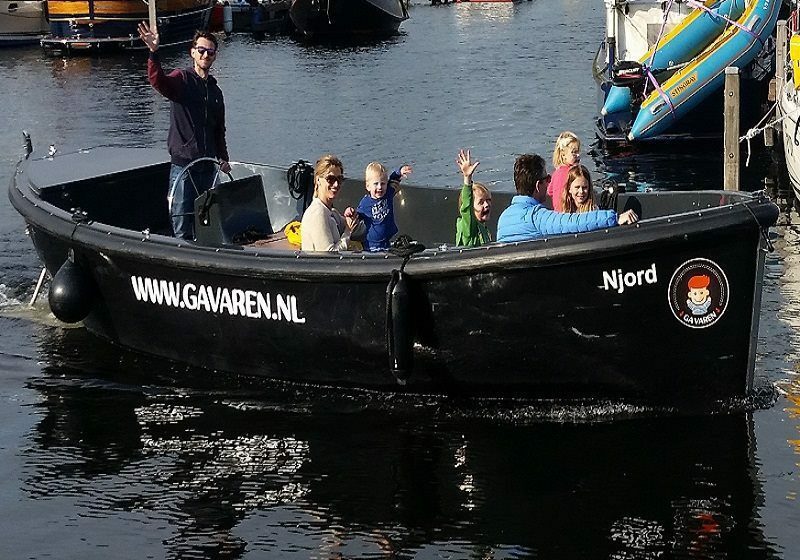 You can spend the night at Naarden Marina in various special accommodations or your own tent or RV. There is also a playground, a swimming beach, and a golf course. Moreover, the Naarden Forest is just around the corner. 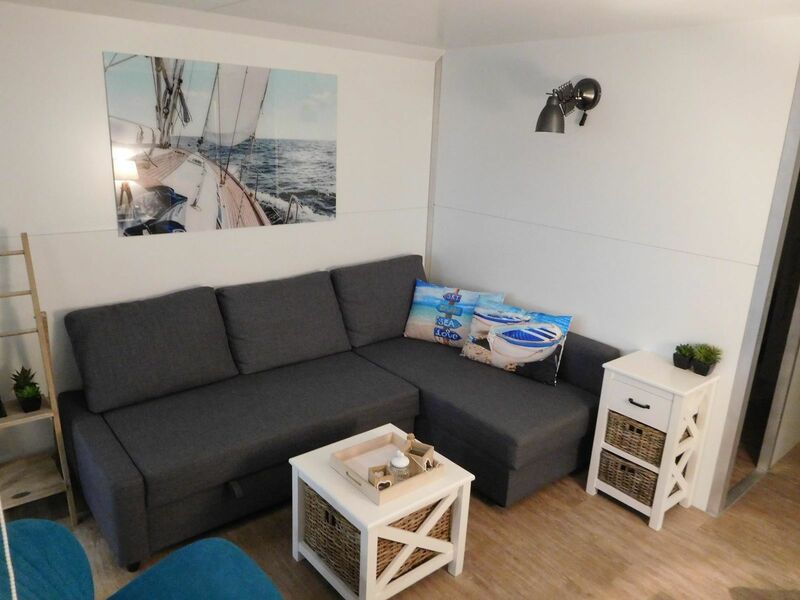 In addition, the marina offers plenty of facilities for the water sports enthusiast or other sporty guests: from a boatstore to yacht service, and from a laundry and marina café to a mini supermarket. 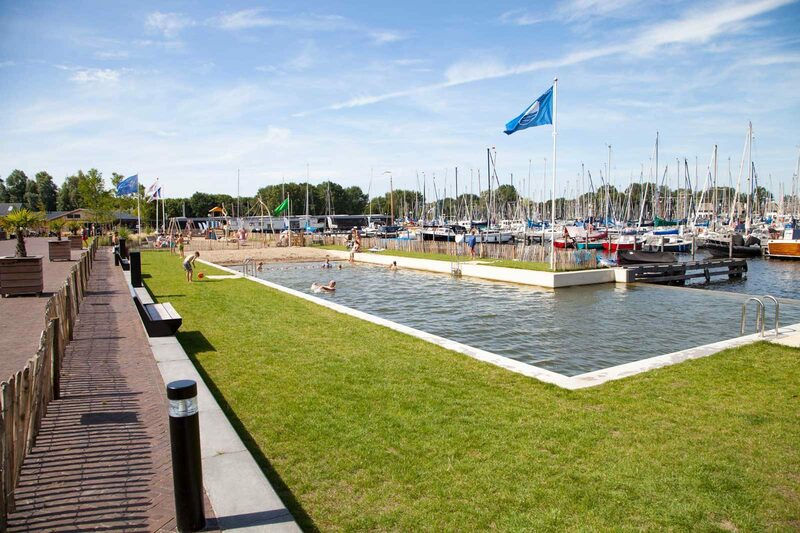 Marina parks has 18 accommodations to offer at Naarden Marina, in which you can spend the night by or on the water. 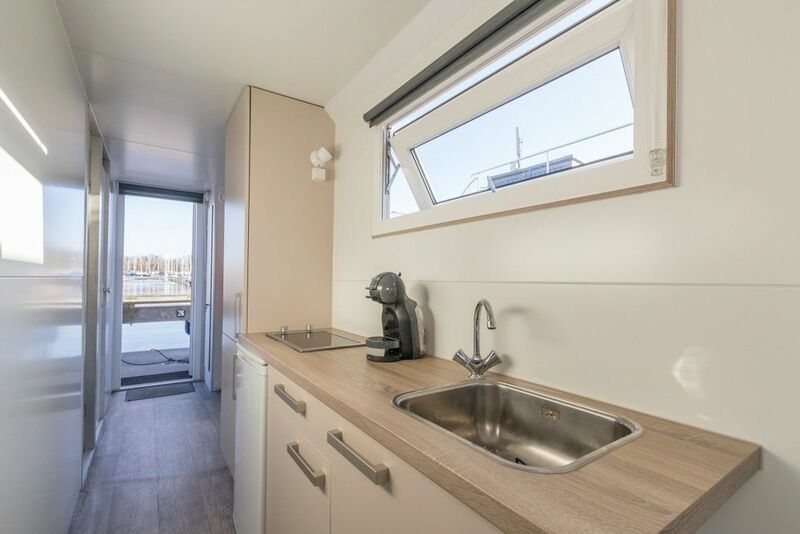 When you stay with Marina Parcs at Naarden Marina, you can choose from houseboat De Zwerver, a converted construction shed called a Tiny Wagon, or one of the harbor lodges for 5 or 6 people. 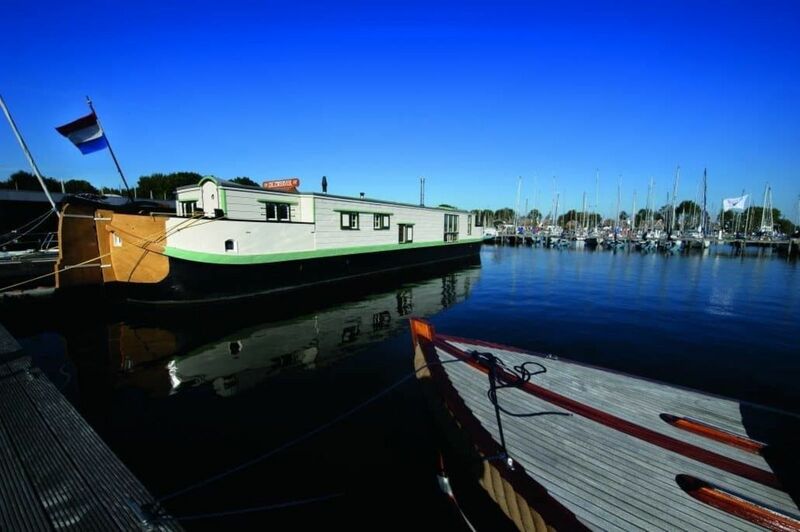 If you choose to stay in the houseboat or a harbor lodge, you will be staying on the water. 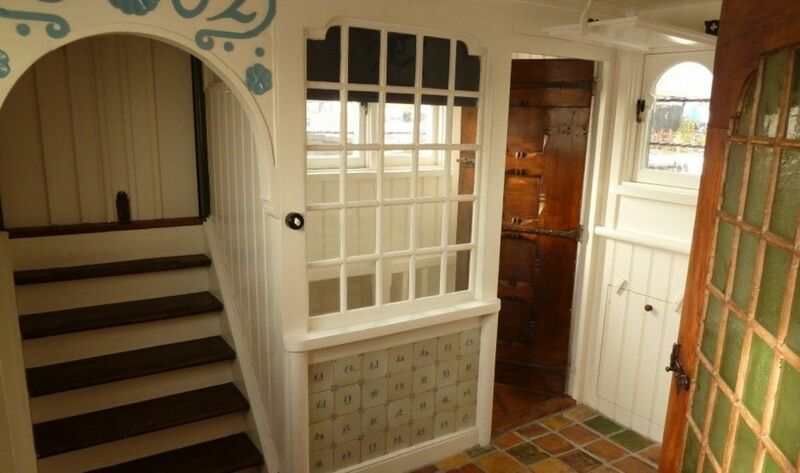 The restored houseboat De Zwerver has space for 7 people. 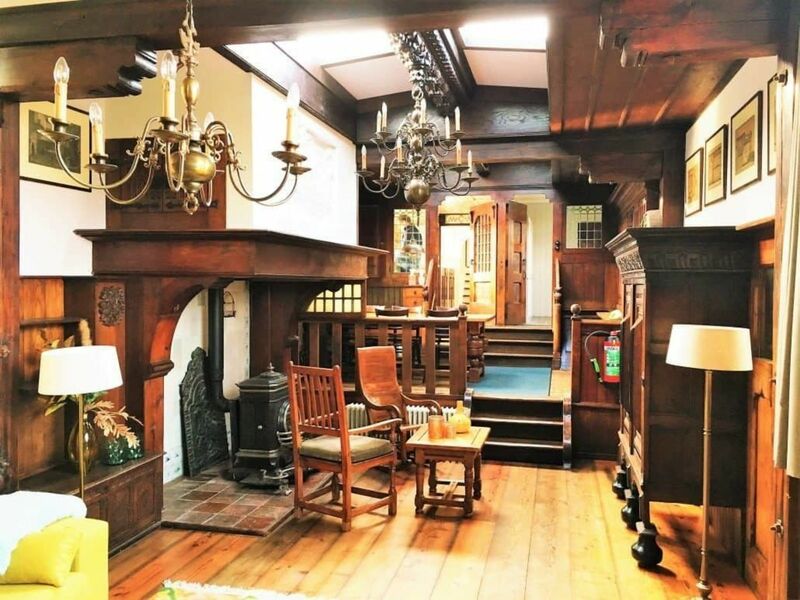 Due to the beautiful authentic interior, you will feel like you have gone back in time. 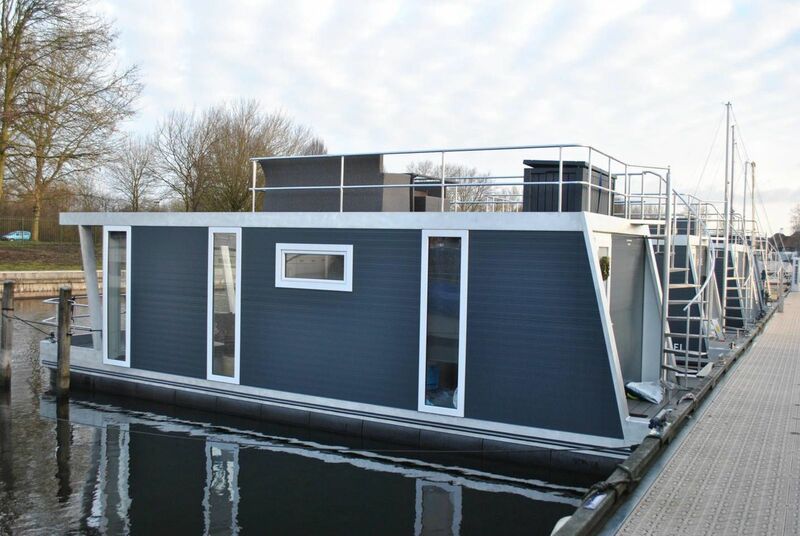 However, you will have plenty of luxury and comfort at houseboat De Zwerver. 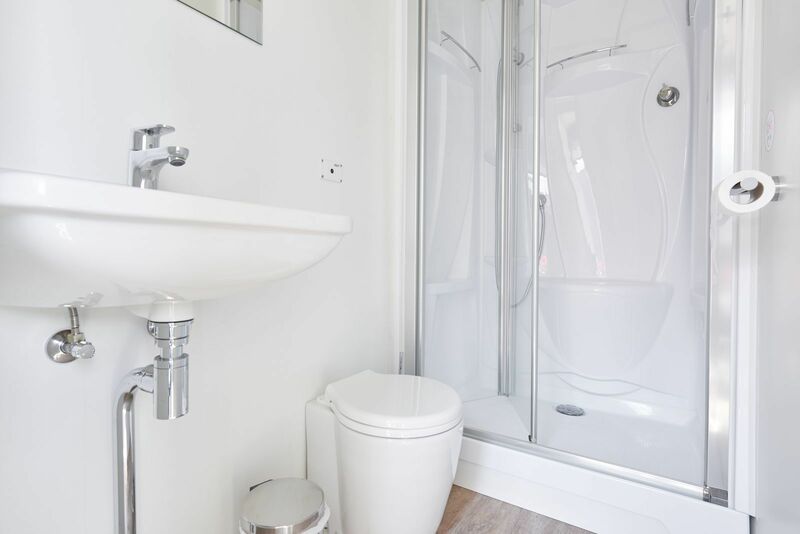 The two bathrooms are modern and stylishly furnished, with a shower and a toilet. From the boat's deck, you can enjoy the lovely weather and the passing boats. 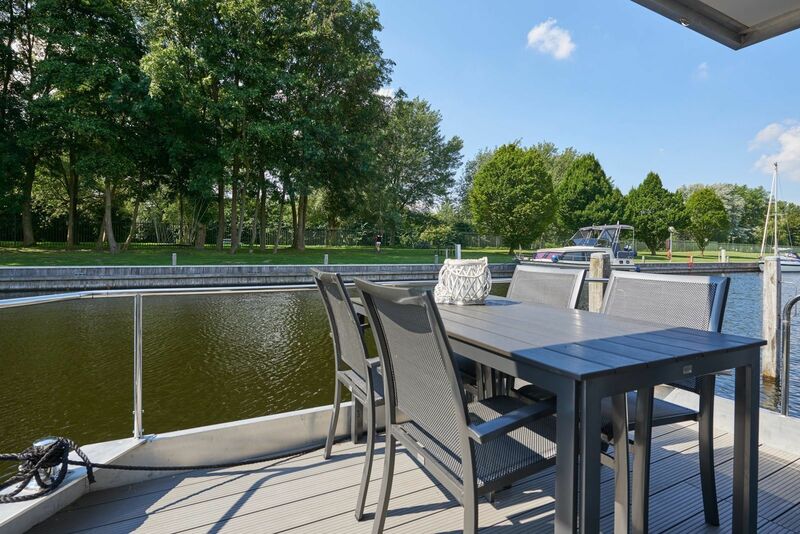 The harbor lodges at Naarden Marina have room for 5 or 6 people. 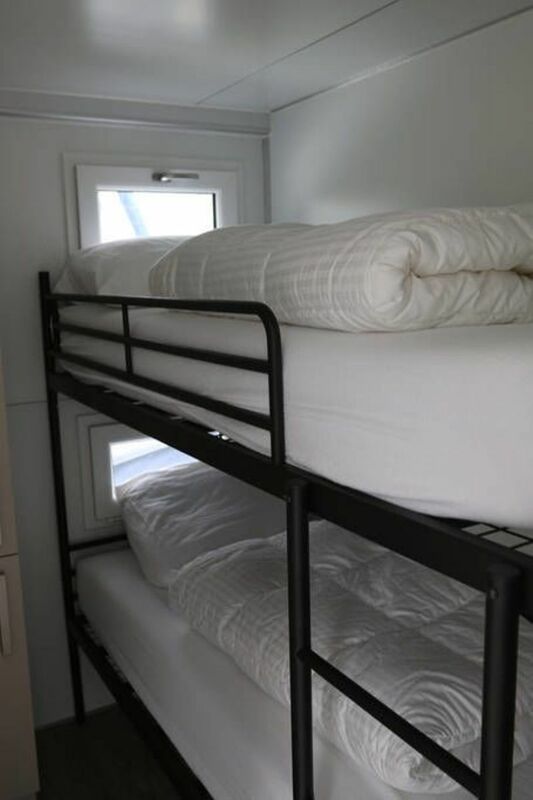 The harbor lodges have 2 bedrooms, one of which has a double bed, and the other has a bunk bed. The sofa bed in the living room creates an extra place to sleep. You can prepare delicious meals in the modern and pragmatically laid out kitchen. 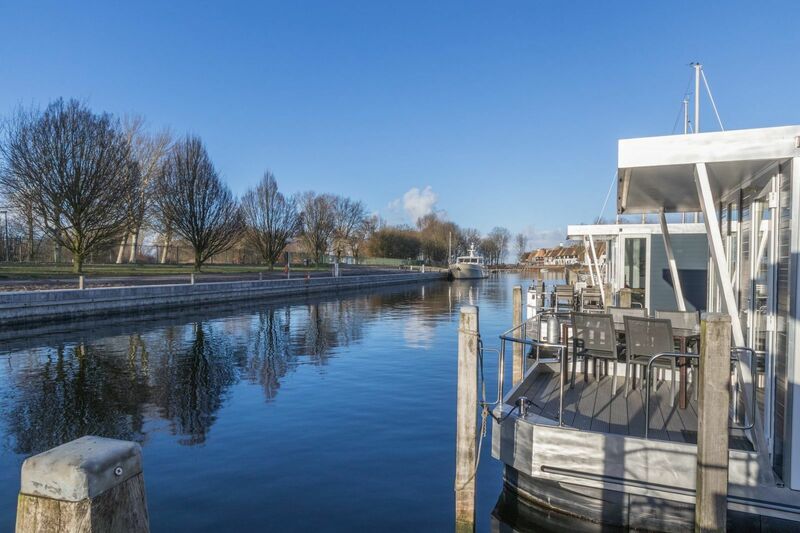 You will also have a great view overlooking Naarden Marina from the rooftop terrace. 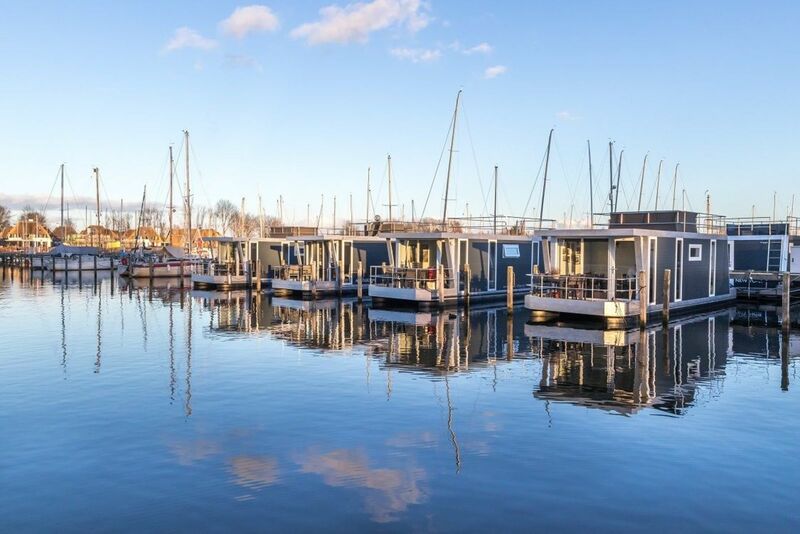 There are four tiny wagons for you to stay in at Naarden Marina's inland waterway. 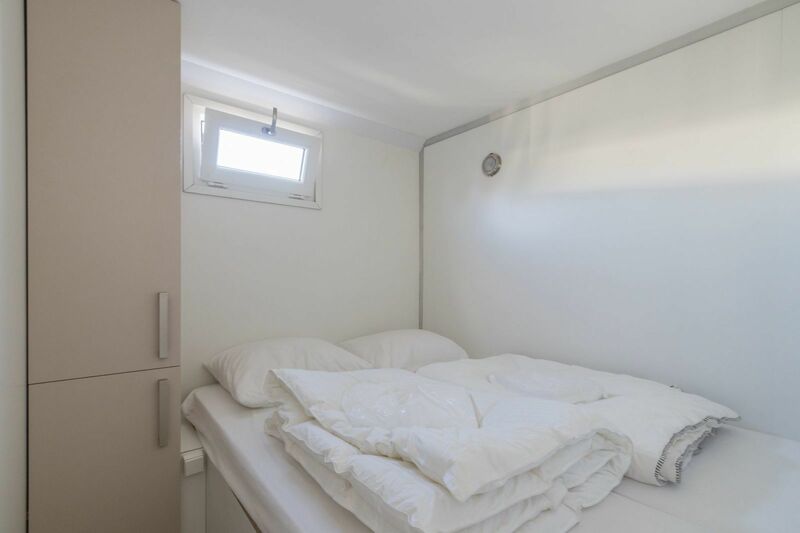 The tiny wagon contains a double bed and a small kitchen with a mini refrigerator, 2-burner stove, microwave, and coffee maker. 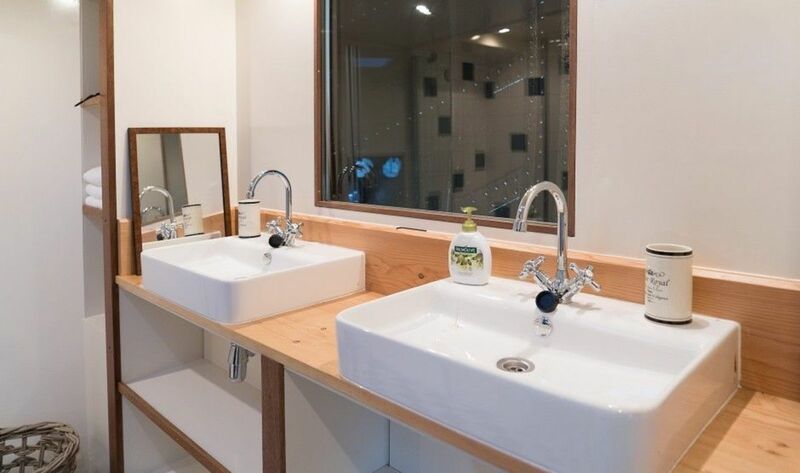 The heating ensures that you will also have a pleasant stay during winter. 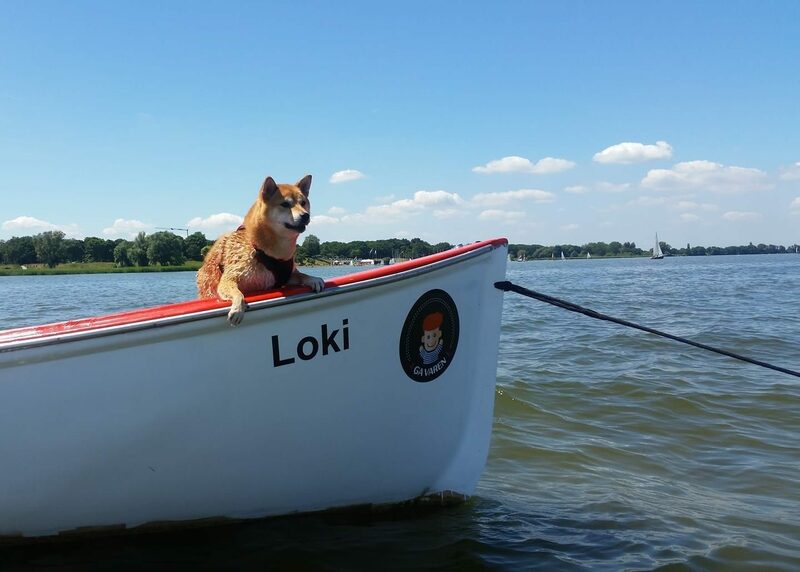 "A kind of holiday feeling right away: on the water, the boat bobs a little when it's windy. Ducks around the boat, ropes tapping the masts. 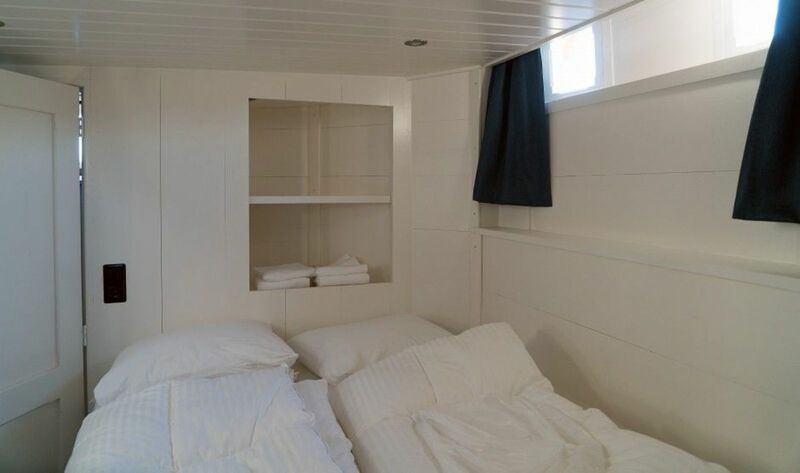 The boat itself is cozy, and everything works and is clean, it's warm even when it's cold outside because of the underfloor heating, really great" - P. Hendriks, December 2018. 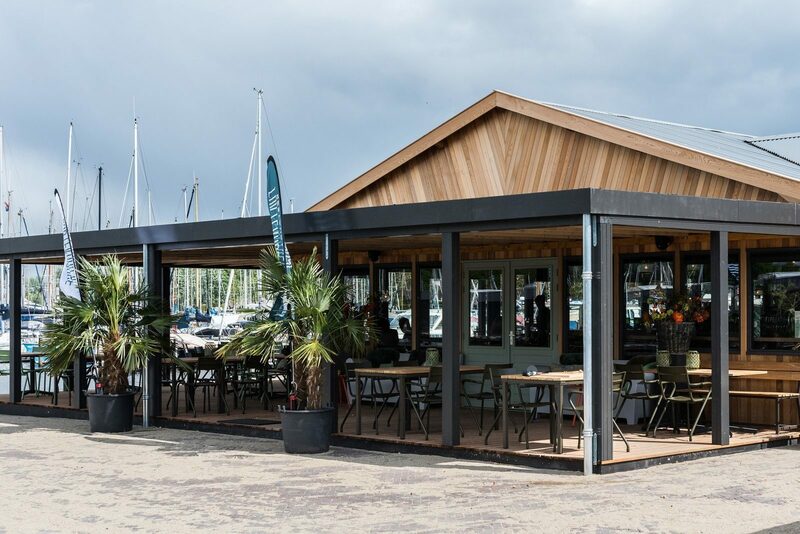 A contemporary, easy, and casual restaurant with a large covered terrace by the water. Simply rent a boat and go out on the open water. 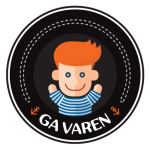 Enjoy a wonderful day of sailing on the Gooimeer or Markermeer from Naarden Marina.